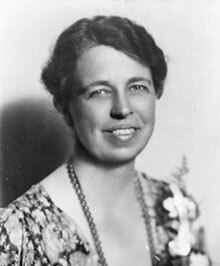 Eleanor Roosevelt is one of the most influential American First Ladies and, perhaps, one of the most famous women in American history. Visit Val-Kill, her personal retreat and the first National Historic Site devoted to a First Lady, to learn about her life and accomplishments. You can also learn about this famous First Lady during “Tea with Eleanor” at Roosevelt Campobello International Park in New Brunswick, Canada—the Roosevelts’ summer retreat. 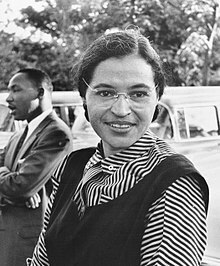 Learn about Rosa Parks, "The Mother of the Civil Rights Movement" at the Rosa Parks Museum at Troy University, where interactive exhibits tell the story of Rosa Parks, the Montgomery bus boycott and its role in the civil rights movement. And there’s lots more to learn along the Civil Rights Trail. 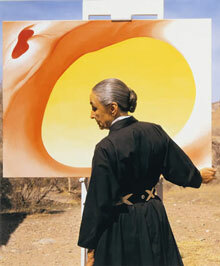 A trip to Santa Fe would not be complete without a docent-led visit to the Georgia O’Keeffe Museum. The museum holds the largest collection of the works of Georgia O’Keeffe, one of the most significant artists and feminists of the 20th century. While you’re in the neighborhood, take a field trip to The Ghost Ranch Education and Retreat Center in Abiquiu — just an hour drive from Santa Fe — to explore Georgia’s home and studio and take in the stunning Southwest landscapes that inspired her. Althorp House, where Princess Diana’s brother Charles resides, has been home to the Spencer family for over 500 years. 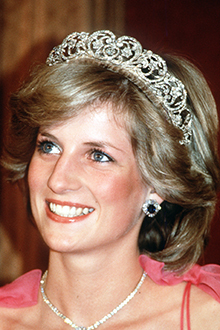 Visit the 13,000-acre estate in the English countryside to see Diana’s childhood bedroom and learn about her life as a girl. Visit with Road Scholar to walk through the estate with Diana’s security guard, Ken Wharfe. If you’re visiting Althorp, you’ll likely be flying into and spending some time in London. If so, be sure to stop at Kensington Palace to see some of Princess Diana’s most famous outfits and to learn about another fierce British leader, Queen Victoria. Join scholars and intellectuals at beautiful Lake Junaluska in the Great Smoky Mountains of Western North Carolina to learn about local women’s history. Delve into the achievements of Appalachian women during daily lectures, and find out about the matriarchal customs of the local Cherokee tribe. Study the life and legacy of world-renowned British author Jane Austen as you visit visit her hometown of Bath. It is said that Jane was unhappy during her time in Bath and did not do much writing here. But her social life in here served as inspiration for much of her future works. Visit the Jane Austen Centre to learn about the impact that the city had on her and see a life-size wax model of the author. This 6.8-acre park was established in 1989 to commemorate the work done in this area during the women’s suffrage movement. 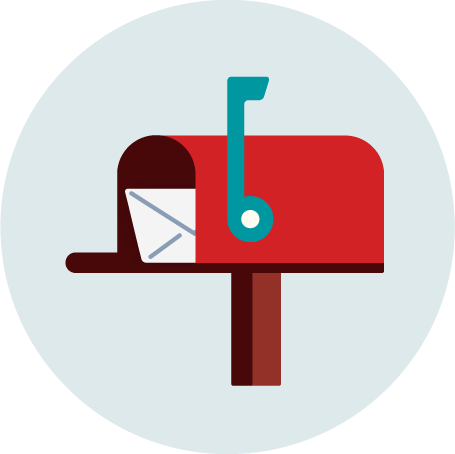 Visit the Wesleyan Chapel, the site of the first women’s rights convention, and explore Elizabeth Cady Stanton’s house to learn about Elizabeth and other early women's rights activists. 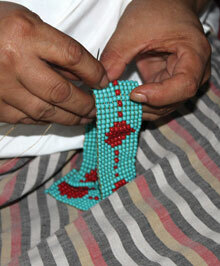 Road Scholars will also learn about links between the Iroquois Clan Mothers and the Seneca Falls Convention of 1848. 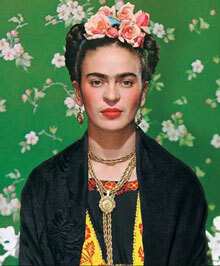 Frida Kahlo de Rivera’s fame extends far beyond her home-country of Mexico, and her self-portraits made her one of the most-recognized artists of all time. Take a trip down to Mexico City to explore the life and portraits of this renowned artist and celebrated feminist at Casa Azul, the Frida Kahlo Museum. The museum of London tells the city’s history, from prehistoric to modern times. 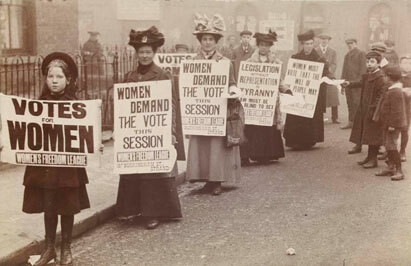 And that includes a permanent exhibit of England’s suffragette history. Visit to learn about Emmeline Pankhurst and other brave women who fought for equal rights as you delve into the cultural heritage of London. While you’re in town, be sure to stop by the Elizabeth Garrett Anderson Gallery to learn about the first British female physician. The National Museum of Women in the Arts is the only major museum in the world that focuses on women’s visual, performing and literary arts. Wander through more than 4,500 works of art by more than 1,000 woman artists from all over the world. 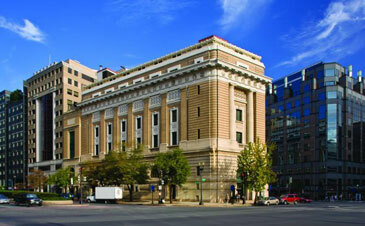 Continue your women’s history lesson in D.C. at the Smithsonian Museums. Check out the First Ladies exhibit at the National Museum of American History, and learn about Sally Ride, Amelia Earhart and other female trailblazers at the Smithsonian National Air and Space Museum. 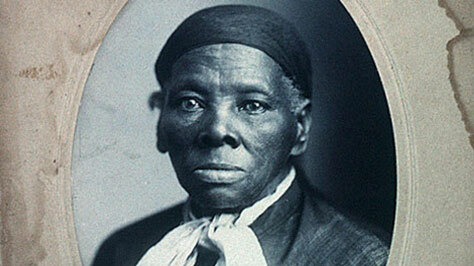 This National Historical Park is a bit off the beaten path, but if you find yourself in the Baltimore or Washington D.C. areas, consider taking a two-hour field trip to learn about the Underground Railroad and Harriet’s role in escorting over 300 slaves to freedom. Established in 2017, the historical park received over 100,000 visitors in its first year, shattering projections. 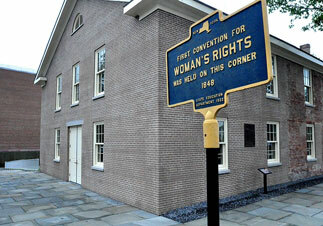 You can also visit Harriet’s National Historic Park in Fleming and Auburn, New York to see her home and more. Jenny Monroe here. I'm the Road Scholar Coordinator at Watson Homestead in Corning New York. We've been offering the Iroquois Culture program (#13364) since 2010, studying how 19th century Haudenosaunee (Iroquois) Clan Mothers influenced suffragists in upstate New York. Since President Trump closed the Elizabeth Cady Stanton House (part of the Women's Rights National Historical Park) except for weekends, and we visit Seneca Falls during our field trip on Thursaday, I added a new wonderful component to our program. Dr. Melinda Grube, lecturer in American History at Cayuga Community College, comes in costume to portray Elizabeth Cady Stanton and gives us a special lecture inside the Wesleyan Chapel - the site of the July 1848 women's convention. This program is offered in May and October and also includes many native instructors and artists as we explore this important matriarchial Indian group, still vibrant in their indigenous and beautiful Finger Lakes territory. Hope you can join us!